Spring is not only in the air, it’s in the pots, too. 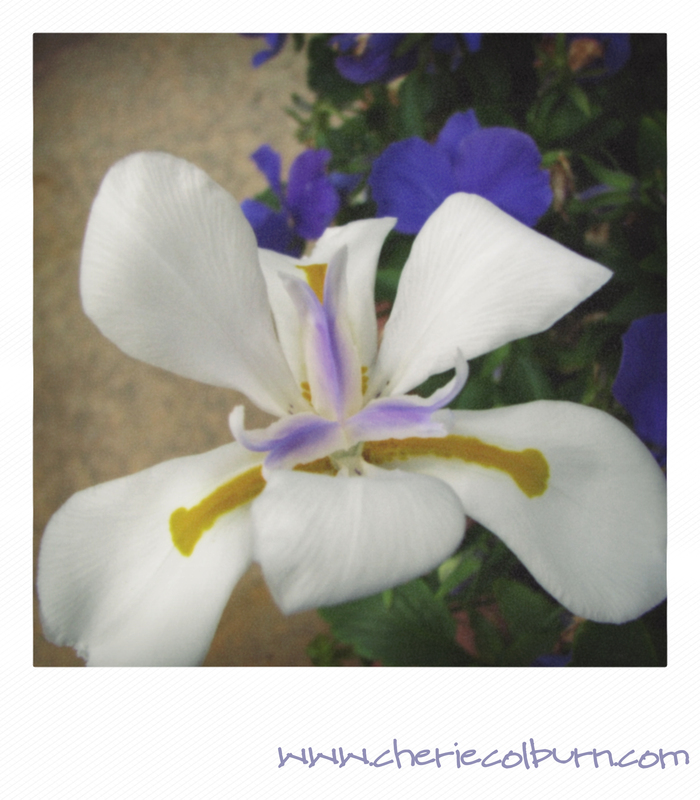 My camera is on stand-by constantly with extra batteries in the charger at all times, ready to shoot beautiful blooms like a dietes amongst the azure blue pansies at my local grocery store. 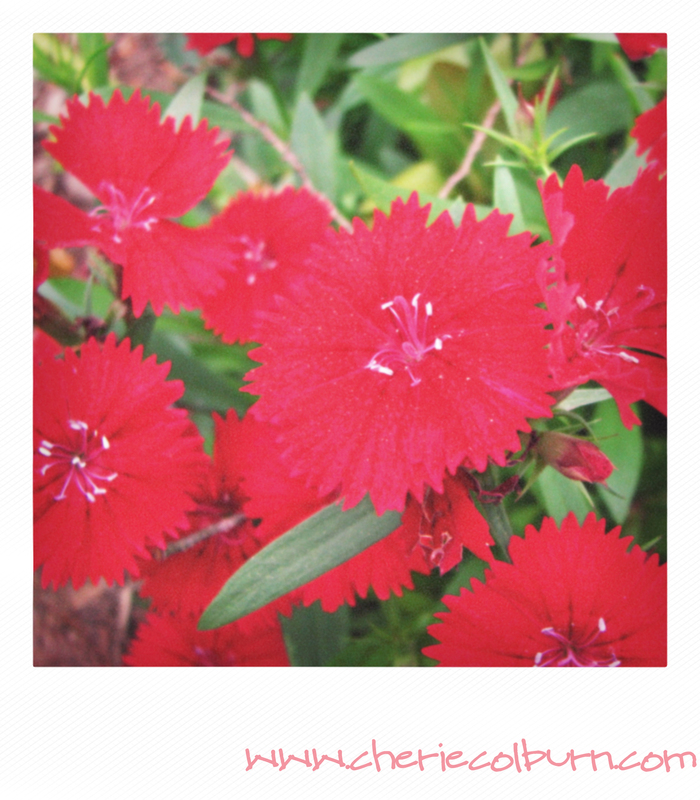 While I depend mainly on perennials in my yard for color – such as red dianthus or “pinks” as my Granny called them – I can’t help but add a few annuals. 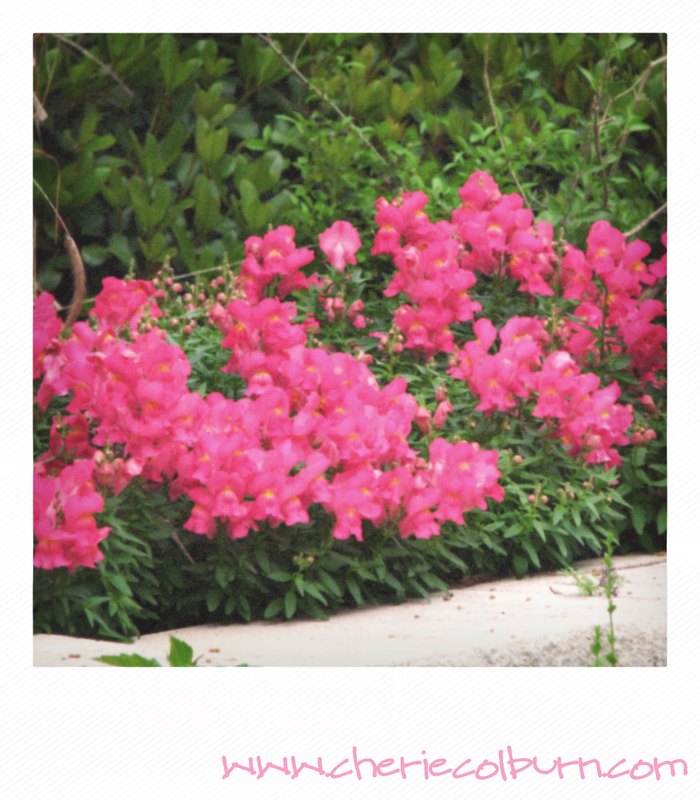 Pink snapdragons are one of my favorites. Yes, they’ll melt with summer’s heat, but for me they bloom their heads off during the cool season, our name for “winter” in Texas. Bees are everywhere and although I’m quite allergic to them, I am thankful for all they do to keep the blooming plants doing their thing. 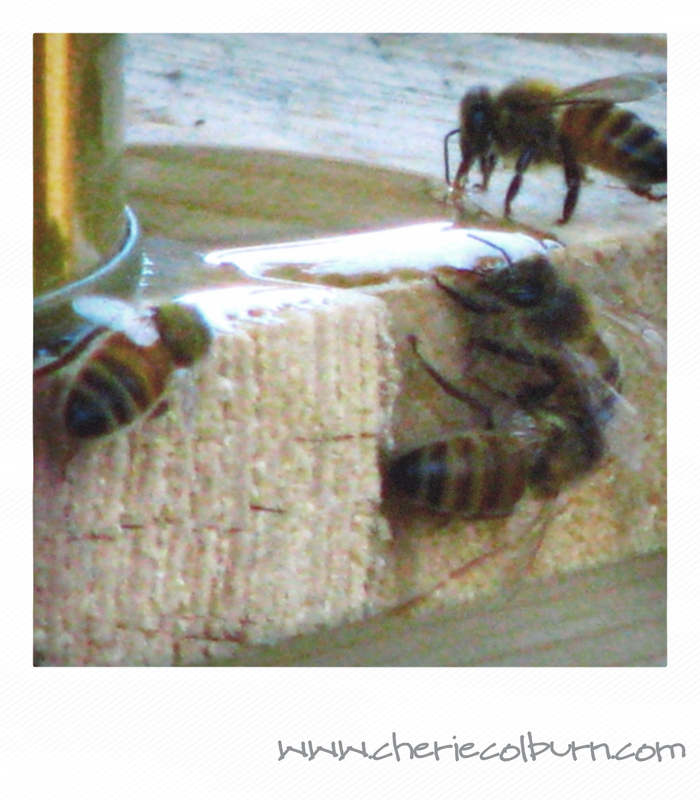 Do you encourage bees in your yard? The only place I’d rather not find them is near the pool and patio. That area is relegated to blooms that are pollinated by hummingbirds, moths and butterflies. How do you know which prefers what? Look for an Audrey Hepburn neck…… More on that later. I’m driving through East Texas this weekend to spend some time with family. 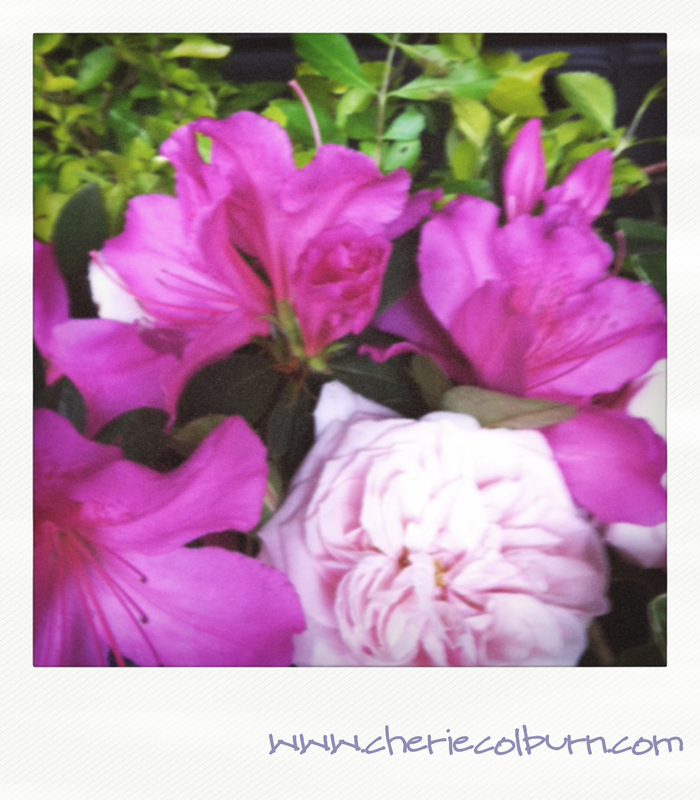 I am thankful for the colors of spring as we celebrate the life of my late great uncle, Bob. Posted on March 2, 2012, in happening in my life, outside my window. Bookmark the permalink. Leave a comment.